"I am so so so happy that my friends from Almazen has now levelled up and is now called NatureOz!!! They had been my suppliers for couple of years now and the quality of their products is definitely worth my personal guarantee. Good luck to ye all at NatureOz and I thank you for your kindness and generosity to us all these years! Blessed be!!!" "I ordered pendants for my mom, sister and myself including an online reading. He always responds to my inquiries and delivery of the gems was really fast! They're already wearing it and can't wait to wear mine. Thank you and looking forward to the result of my online reading." "Natanggap na po ng sister ko ang 9 na pendants kahapon. Salamat po sa magandang service." "Got new tools. Awesome delivery at the meetup earlier. Initially I only wanted to purchase the Amethyst but also thought about getting an Onyx but forgot to tell him. He came to the meetup with the Onyx too :)"
"I would like to share my positive feedback dealing with NatureOz (c/o of Sir Tata & Rohan Almazen). They've been very accommodating in attending all my inquiries, enlightening me on which item can be of great help to me and last but not the least... I wish to express my sincere gratitude for the three (3) freebies they gave me!" "Thank you for the fast and smooth transaction. The item arrived in good condition." "100% Legit seller! Salute to sir Tata! Nakapag-pay ako ng 4pm, 6pm pina-ship na sa LBC yung order ko! Definitely will be a regular customer here." "I'm a very satisfied customer and gives your online store 5 star rating, hope you have more blessings and success, keep up the good work!" "This was more than just a regular buy and sell transaction. Tata has been amazingly very helpful and answered all my questions. He has shown genuine concern with what's going on with me and provided advise as to what I can do. He offered extra help beyond what I was expecting. Thank you Tata, I really appreciate it. Will definitely be coming back." "Thanks NatureOZ for accommodating me on such short notice. I am very happy with my purchase. Just what I needed." "Got my new Moldavite dream catcher necklace and my Moldavite charm bracelet with Amethyst and Howlite a couple of days ago from a meetup with Tata and I am one very satisfied customer! What Tata said in this page was right - it was a real and genuine Moldavite they got - a very powerful crystal and a very rare one for that matter - for a suprisingly very low and reasonable price! It will definitely not going to be the first time I will transact with Tata and NatureOz! In fact, I have already shared NatureOz with my fellow Banahaw healers! Brightest Blessings to NatureOz!" 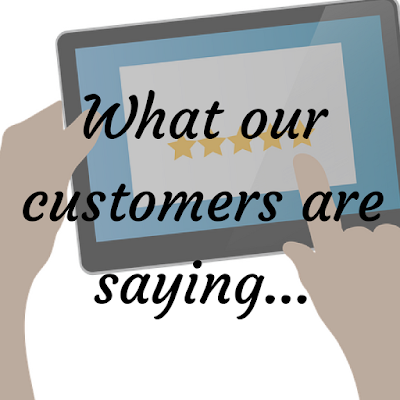 "I am one happy and satisfied customer! The actual pieces are even more beautiful than the pictures. And yes, the items are genuine, and I purchased them at a lower price. I will definitely order more soon! Thank you so much Sir Tata, especially for the free items you included. I wasn't expecting that." "Thank you so much NatureOZ! I got the items on time and very grateful with some freebies included! Thank you for being so genoerous! Thank you Tata for your kindness and patience regarding my queries! I will order for more moldavites soon! Great service! Awesome team! Blessings to you!"